We formed in January of 2007 from our Moms Group, which is a Yahoo Group as well: ‘Let’s Get Louisville Moms Together.’ I recently moved us to a Yahoo Group. We used to operate via e-mail. I love Yahoo Groups! Moving Bunco Mommas to a Yahoo Group has allowed us to stay more organized, which I am fond of, and we are more out in the open for others to find our group. We have 12 Regular Players and a list of 20 wonderful Subs. We gather on the 2nd Wednesday of each month and of course, rotate who’s hosting. We do play with cash ($5 per player) but we are in it for the love of each other’s company and could care less who wins! The player with the most wins gets $35; whoever is wearing the Bunco Queen Crown at the end gets $25; and the biggest loser gets their $5 back! We pass around the crown to whoever rolls a Bunco at the time, which makes it more fun and interesting! We roll with three dice and three tables. Our bottom line is Bunco is an excuse to get together. We throw some dice around, indulge in fabulous food, imbibe in fine wines or other adult concoctions, talk our ears off, and call it Bunco! TIP: Do not take Bunco or life too seriously! 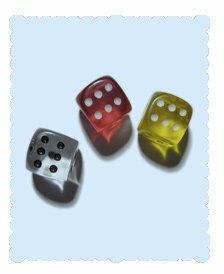 You can learn a lot from Bunco, and the most important life lesson is to roll with the dice, but always make it fun! 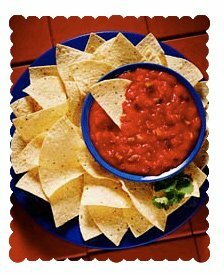 **Can sub other Mex seasonings, but it is not the same. Mix all very well. Add to whatever you like and enjoy!